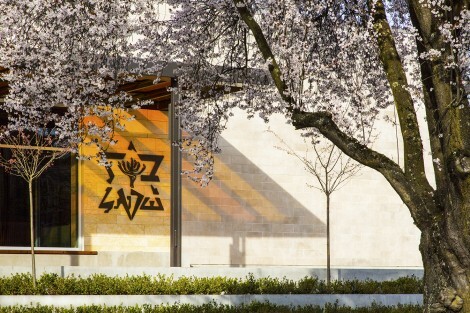 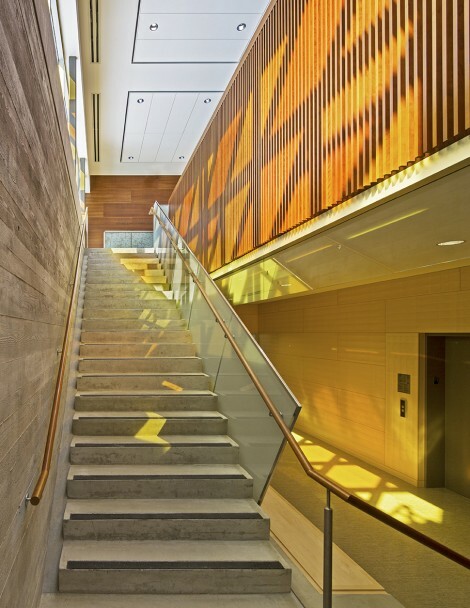 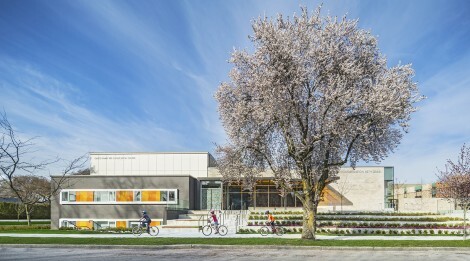 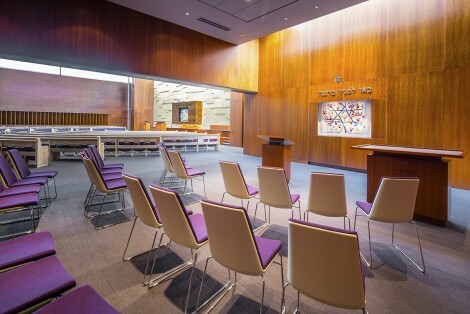 Completed in 2014, the project is an extensive renovation and expansion of the existing synagogue built in 1948. 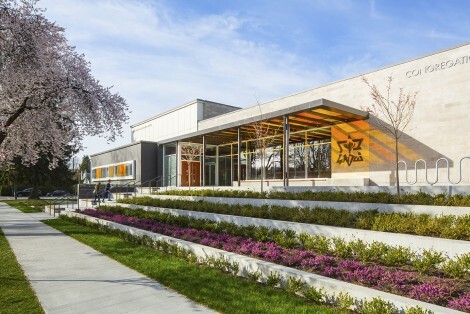 The existing sanctuary was repurposed for social and educational activities, and a new house of worship was added. 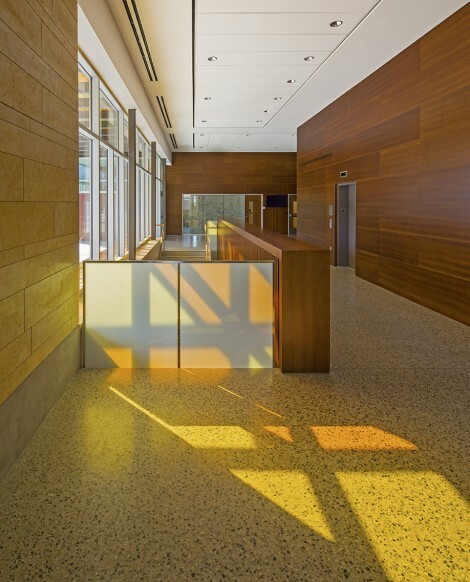 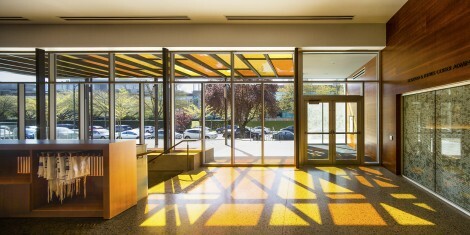 The new addition features an entry forecourt, terraced landscaping and a colourful glass canopy that washes the building with ethereal amber and golden light. 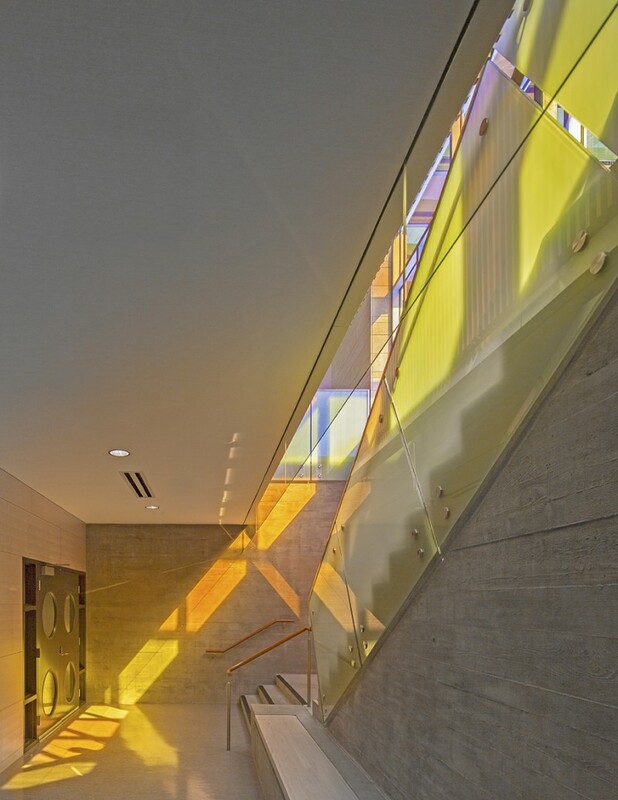 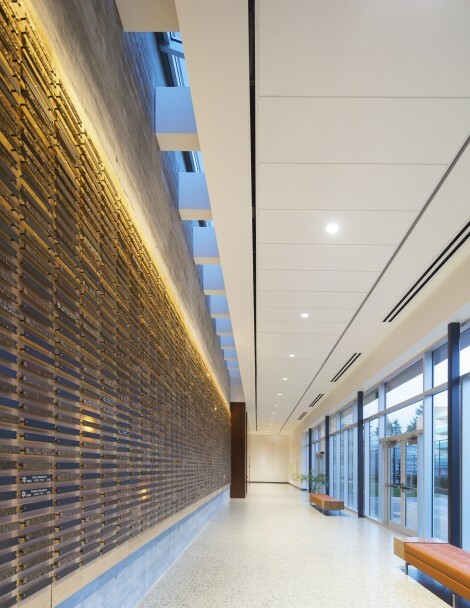 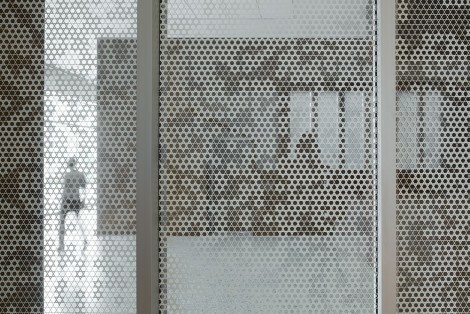 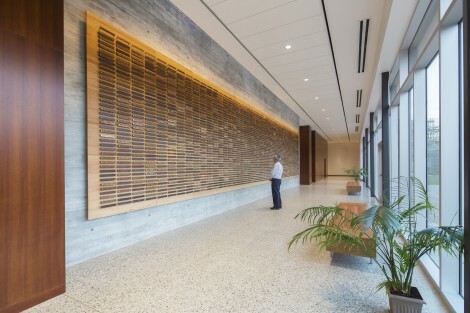 The new sanctuary features a massive wall clad in variegated slabs of Jerusalem stone that surrounds the Ark and Holy Scriptures housed within. 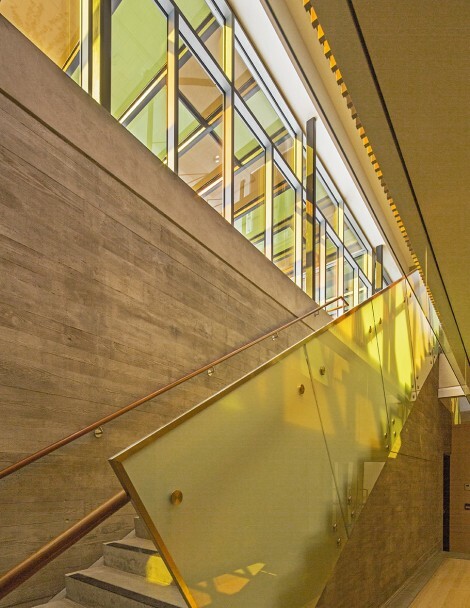 A narrow skylight washes the stone wall in natural light. 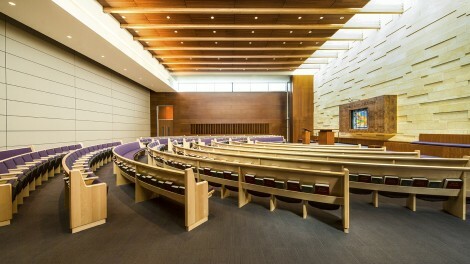 Upholstered pews form concentric arcs around a raised Bimah to create an intimate setting for worship. 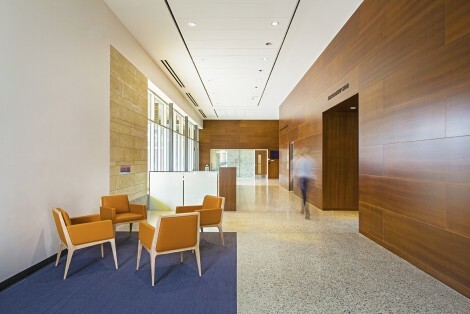 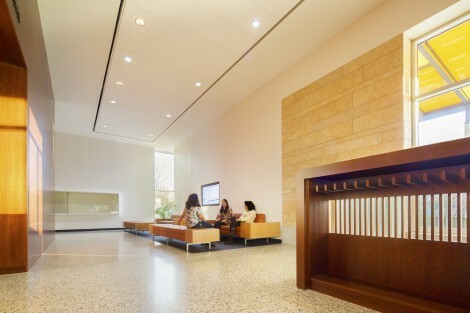 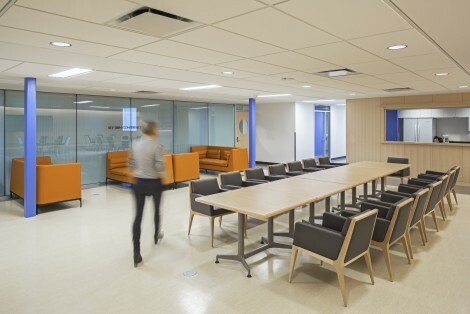 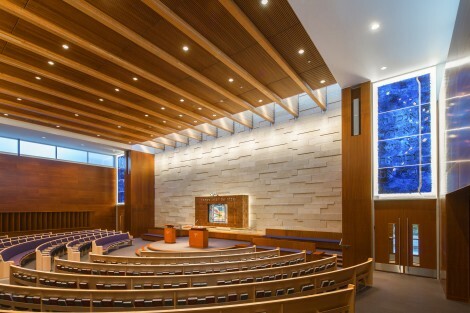 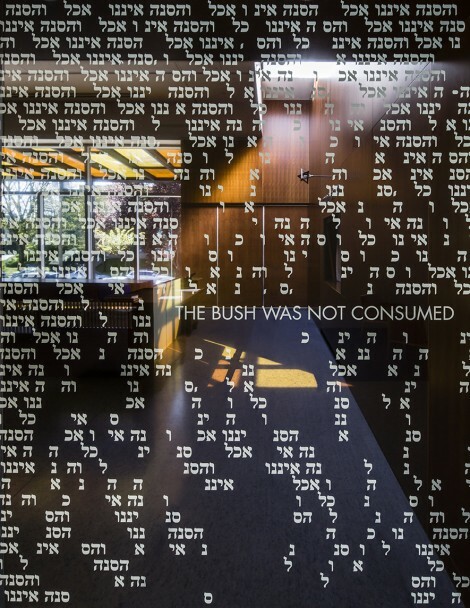 The sanctuary expands from 400-seats to 1,400-seats during High Holy Days. 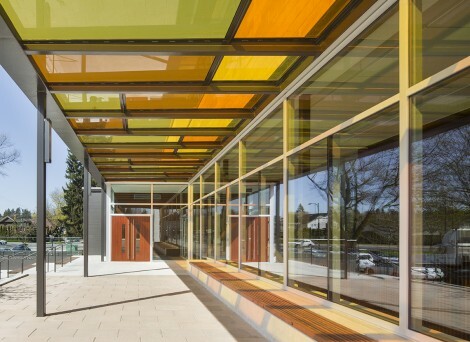 The remainder of the facility house classrooms, seniors lounge, youth hall, conference centre, meeting rooms and administration offices.